The body loses electrolytes through sweat, and even 5% dehydration can cause the oxygen capacity of your lungs to plummet by 30%. it is essential to stay hydrated in order to maintain your Peak level of activity. Our isotonic/hypotonic oral rehydration solution with an osmolality of 280Mosm/L, contains the same hydration power as a bag of iv fluid and delivers four key electrolytes-sodium, chloride, potassium and zinc-straight into your bloodstream to help your body absorb more water and recover faster. 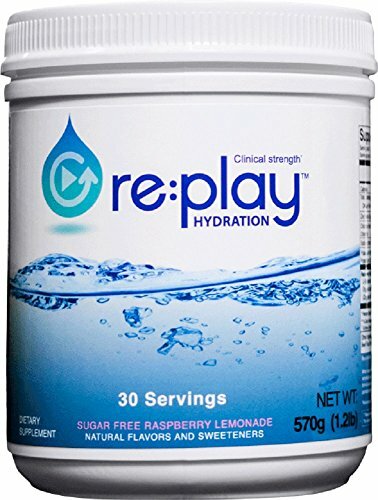 Re: play uses l-glutamine, an amino acid in your intestine, instead of sugar, to transport electrolytes across the intestinal wall EFFICIENTLY. Think more clearly cognitive performance increases when your brain is hydrated. Re: play assists with maximum water delivery to all areas of your body so you can perform at Peak for longer. Re: play is engineered to be your go to hydration tool. These statements have not been evaluated by the food and drug administration. This product is not intended to diagnose, treat, cure, or prevent any disease. If you have any questions about this product by Hydration Health Products, contact us by completing and submitting the form below. If you are looking for a specif part number, please include it with your message.